Rewatching the Entire Highlander Universe! 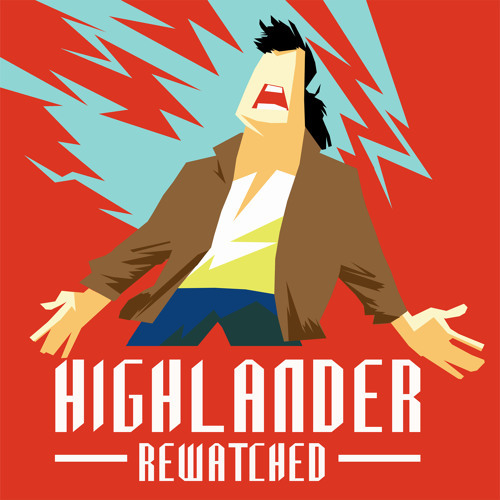 Each week, the Rewatchers explore a new episode of the Highlander TV series, bringing you trivia, laughs, and an in depth look at the Highlander mythos. If you have any questions or comments about the episodes, you can join the conversation by liking us on Facebook, following us on Twitter @TheRewatchers, or emailing us directly at HighlanderRewatched@gmail.com. @user-481453924 fantastic! They are great! When u catch up feel free to comment more on our Facebook page or via email. We are able to read those and respond to those more readily and read them on the show too! Also thanks for picking up a magnet set. It is all packed up and shipping today! @user-481453924 thanks for all your comments. Yeah sometimes it’s a little fun to get off topic! When you catch up to our current episodes make sure send us emails so we can respond to your comments on air! @user-481453924 yes! He was so nice!!! Glad you enjoyed the episode! @user-481453924 yeah. That’s totally where they got the name from. We just think it’s funny and is a source of fun for us to discuss it’s name and location in the show. Thanks so much for listening and we hope you enjoy listening to all our episodes! @user-481453924 yes the audio does get a lot better. Just hang in there!!! @user-481453924 thanks so much! We really hope you enjoy the show! So glad you found us! Make sure to check out our Facebook page too where we post clips, questions for listeners, and more! @louis-muhawij-355040798 couldn’t agree more! Thanks for commenting and listing to the podcast! @christopher-awuku: thanks for listening! We hope you enjoy our other episodes! @christina-forster-311840890: Woot! Thanks for listening! That's right! I can't believe we didn't mention this was his second stating role in Highlander!